Landscaping, horticulture and agricultural engineering students at the unique SRUC Oatridge campus in West Lothian near Edinburgh recently participated in an event which gave them the opportunity to learn more about Pellenc’s innovative battery technology and gain some hands on experience with a wide range of equipment. SRUC College is a bespoke land based industries institution based throughout Scotland which offers a number of courses at all levels from college and university level study, through to postgraduate, consultancy and research opportunities. Many of the courses at the Oatridge campus relate to the ways in which we make use of the land and natural resources around us – from agriculture and horticulture to veterinary nursing and equestrianism, and a huge variety of exciting and relevant land based topics in between. The College has a philosophy of continuously exploring the innovative science that supports these land-based industries, and the way they interact with and support the environment around them. 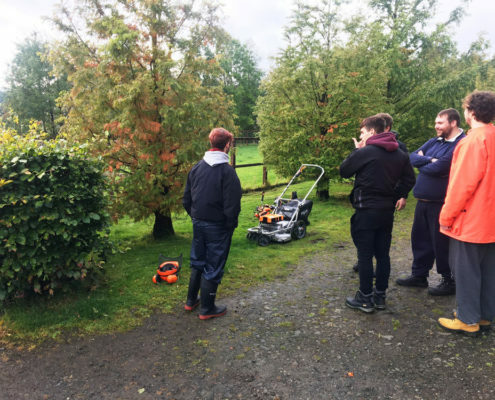 It is for this reason that Thomas Meenagh, a horticulture lecturer at Oatridge, decided that it would be a good idea for the students to become familiar with the increasingly popular battery powered machinery. “I think that in every walk of society it is becoming common knowledge that we should be more environmentally friendly and be producing less CO2 and greenhouse gasses. An awful lot of hand held powered equipment used in land based industries comes with two-stroke engines which burn off fuel and oil, and so it is good to see the likes of landscaping and horticulture industries moving towards battery powered machinery. Having being in the market to buy some battery powered equipment, Thomas’ research led him to Pellenc, which is exclusively distributed in the UK by Etesia. 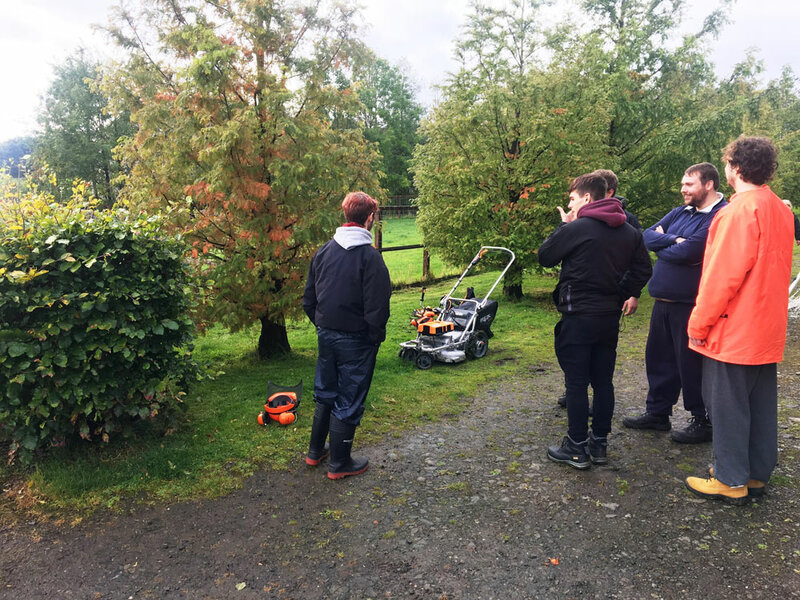 He arranged for four sessions to take place over two days in which Etesia representatives firstly delivered a theory based session which offered a greater insight into the Pellenc technology, followed by a practical demonstration. The students were then invited to trial the equipment for themselves. Light, odourless, relatively noise-free, with no starting problems and no refilling the fuel tank – it’s no wonder more and more people are turning to the innovative technology of Pellenc. In the last five years, Pellenc has gained market recognition by offering a unique range of ‘zero emission’ battery-powered handheld tools, thanks to the development of Lithium-ion ultra-high performance batteries. This technology, which is exclusive to Pellenc, guarantees non-polluting, odourless operation with quick start-up and long lasting battery life. In reflecting on a successful event, Thomas believes that it was essential that the students got a first glimpse of the products that they could very well be using on a regular basis in the future.